Every year, AAA adds hotels to its prestigious list of Four Diamond Properties. AAA’s expert inspectors visit more than 27,000 hotels, PER YEAR, for the past 80 years. Only 6.3 % of that near thirty thousand make it onto the list. Check out the Lodging Approval Requirements & Diamond Rating Guidelines to see what they rate each hotel on. Viejas Casino and Resort was awarded Four Diamond status in 2013 and has maintained it ever since. Inspectors looked at everything: exterior aspects from curb appeal to architecture, public areas from décor to free space, guest rooms from beds to work desks, bathrooms, and service expectations! Forget Yelp!—a AAA service inspection is way more thorough and in depth than an amateur opinion. 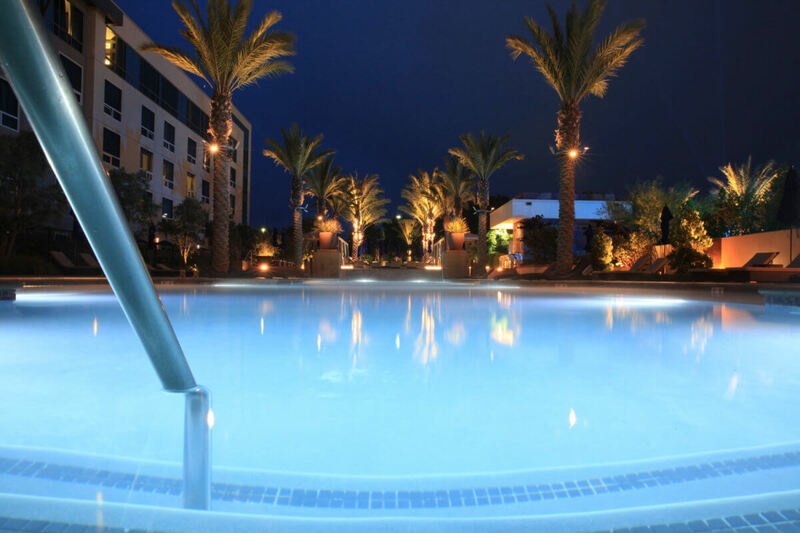 Let’s take a look at some of the things Viejas has going for it that helped it to enter into this high-status group of hotels in 2013, and stay on it! 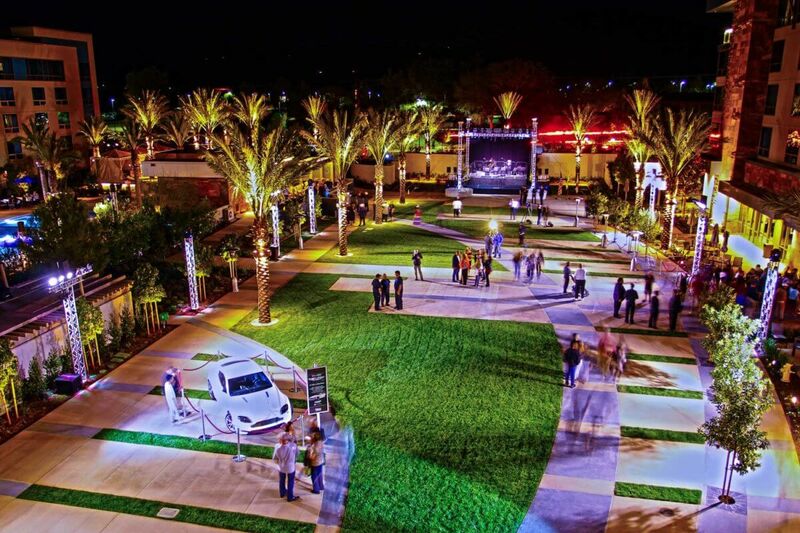 Images courtesy of our friends at Viejas Casino & Resort. A luxurious and modern Forbes Four Star & AAA Four Diamond 237 room, twin tower hotel where guests can enjoy world-class service, exciting gaming, multiple entertainment venues, a wide variety of dining experiences, incredible shopping, and much more. 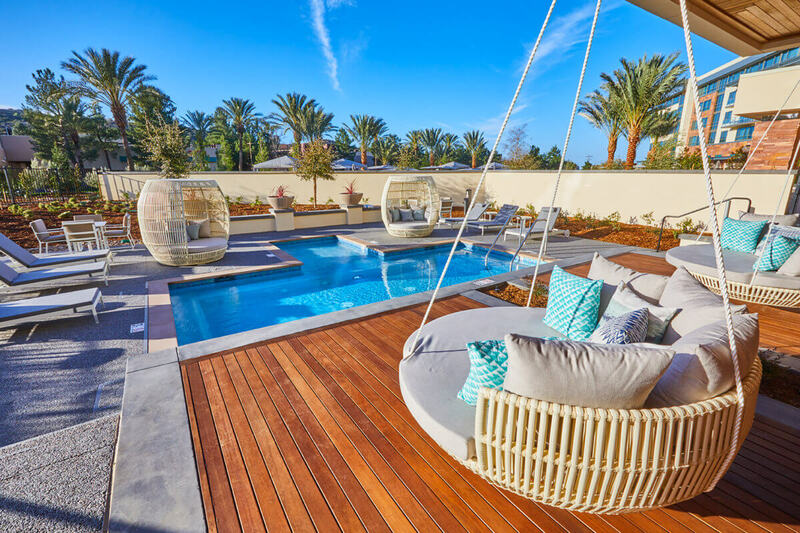 Special features include a lush, spacious pool with baja shelves, private cabanas, a bar, lounge area and two modern Fitness Centers, and two Business Centers. Relax, play, and cool off beneath the open sky amid swaying palms and decorous firebowls at night. Private cabanas, baja shelves for shallow wading, and the spacious hot tub for deep relaxation all provide the perfect opportunity to kick back and enjoy the beautiful Viejas Valley. From Queen and King standard rooms all the way up to Luxury, Executive, Premier and Presidential Suites, Viejas has your rooms covered. When you return to your room after enjoying Viejas Casino & Resort you’ll be pleasantly surprised. Viejas team members have refreshed your room and prepared you for sweet dreams. Your room will be straightened and soft music will be playing. Your remote will be placed on your nightstand, and your curtains will be closed. The decorated pillows and bed scarf will be taken off your bed. The housekeeping staff will have turned down your sheets and left some tasty gourmet chocolates for you to enjoy. Viejas turndown service is a mark of fine luxury and personal service the resort offers. What whaaaaaat. That is what I’m talking about! I don’t wanna think about straightening up my room while on vacation, but I do want it to be perfect all the time. 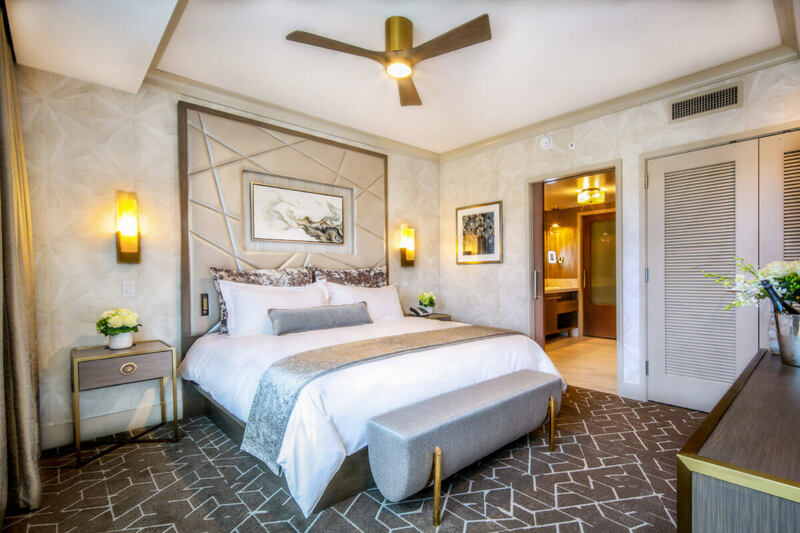 And for those who’d rather shut out the world for an intimate stay, the Do Not Disturb Sign on your door will keep the turndown service team away! Transport to a world of relaxation and beauty at Willows Spa that features seven treatment rooms and endless therapies. Willows Spa offers a variety of facilities including a salt water spa pool, a spa garden, a salt sauna, a steam room, two hair stations, two pedicure stations, two manicure stations, a 24 hour fitness center and two outdoor spa cabanas where treatments can be provided. A Four Diamond rated property is “refined, stylish with upscale physical attributes, extensive amenities and a high degree of hospitality, service, and attention to detail.” This elite group of hotels are upscale in that they are obviously high grade, upmarket, luxurious in feel, with cohesive designs, and are timeless—not just trendy. Our WW pro-partiers know exactly how to live it up in style, and being on a Four Diamond property is par for the course for our group of rock stars.